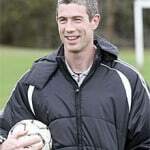 Peter has had over 20 years experience coaching football to a wide range of age groups. 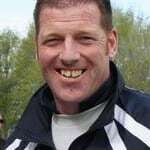 He currently works for WaiBOP Football as the Football Development Officer for Western Bay of Plenty, based in Tauranga, and is also involved mentoring the coaches of the Bay of Plenty Women’s team which plays in the Northern Region Football League. Peter grew up in Scotland playing football for local clubs. When he joined the fire service he was unable to continue playing football to any reasonable level due to his shift work hours so to continue being involved in the game he was passionate about, he got involved in coaching, and sat his coaching badges under the Scottish Football Association. Peter became involved with Dundee United initially as a community coach working in programmes across the Tayside region. According to Peter, the main rewards of being a coach are interacting with the players and seeing them develop as footballers and also as individuals. Some of his recent coaching highlights were coaching the Waikato FC Youth squad to the semi-finals for the first time, a couple of seasons ago, as well as the successful season that he had at Tauranga City United around the same time. This role was cut to one season after a directive from New Zealand Football that Development Managers were unable to coach within the club environment. Peter has embraced his ongoing learning. Earlier in the year he spending a week working with the New Zealand Breakers basketball team and their coaches Andre Lemanis and Dean Vickerman. Peter is also due to spend a week working with the A-League’s Central Coast Mariners coach Graham Arnold in the near future. Che has experience playing professional football in Europe and Australasia and has recently set up the University of Waikato Football Academy to help develop the football skills of top players who are studying at Waikato University. An important personal achievement for Che was getting the University of Waikato Football Academy up and running this year. 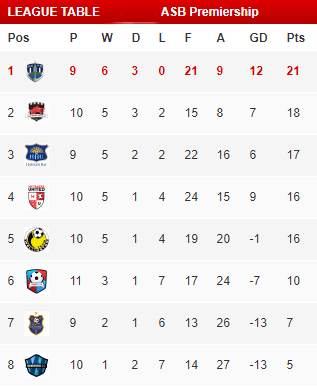 The academy involves 13 young top quality footballers who study at the University of Waikato. The players train each morning at the academy and also play for clubs around the region. All Whites players and top New Zealand coaches have taken some of the academy training sessions. Che aims to develop these players to ensure they have every chance to succeed at a professional level. Long-term, Che is aiming to coach internationally.